All I know is that I think this should be amazing. The AMP Music Festival will be an all-day event taking place on Saturday, September 17, 2011 at the Market Creek Plaza. With nine hours of entertainment on each stage, there will be something for everyone. The venue is located at 404 Euclid Avenue, San Diego, CA 92114. With the partnership of the Asian Business Association Community Foundation, this music experience exists for the fans of music and for the love of music, with the aim of creating art and music scholarships and educational programs. We are open to all who love music, the outdoor music experience, or bold adventures! 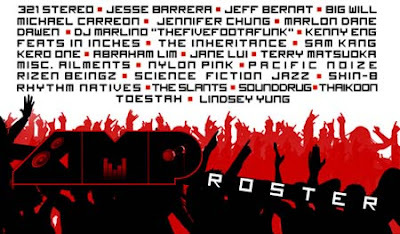 Learn more about the Mission of the AMP Music Festival and the San Diego Asian American Music Festival. The AMP Music Festival and the San Diego Asian American Music Festival are made possible by the support of the Asian Business Association Community Foundation (ABACF). Get more info down at the Amp Music Festival site.